If you experience any of the signs and symptoms of a spinal cord injury above, contact an experienced chiropractor right away. 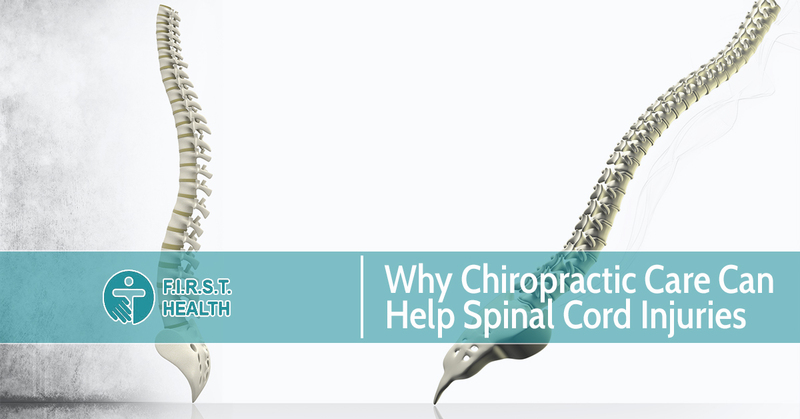 A chiropractor will help manipulate your body’s spinal cord using safe and corrective chiropractic techniques, to help your body naturally heal itself. With the help of spinal manipulation treatments, a chiropractor can assist in restoring the mobility that was once lost. As a natural and non-invasive treatment, chiropractic treatments are a great option for those suffering from spinal cord trauma. F.I.R.S.T Health offers an array of treatment options for patients suffering from spinal cord injuries and will work with you to determine the root cause of your discomfort. We tailor our specialized chiropractic services to every client, combining orthopedic medicine with advanced chiropractic rehabilitation practices, to ensure a speedy and efficient recovery.